Nikon which is widely popular in the world because of its digital camera manufacturing. Now they are introducing their first Coolpix S800c camera that is powered by the Android operating system. Now the capability of the device is more enhanced when the mix with the features of Android. Now editing and sharing is much easier than never before , device is available in two color option Black and White. With amazing quality of Coolpix s800c capture pictures and take videos in 16 megapixels works even well in low lighting conditions, device has a 10x optical zoom which makes far way objects visible as you are in front of it. Now forget about blur images because this device has a capability of optical VR image stabilization which means a small shake of hands won’t keep you away from taking sharp quality images. Capture your pictures and videos in high quality of 16 megapixels and instantly share them to Google plus, Facebook and twitter. It is simple and totally wireless. 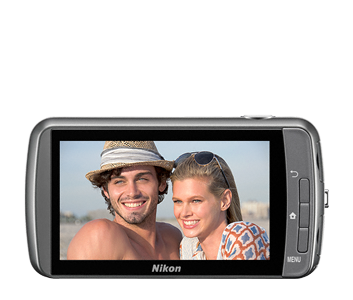 Mixture of Nikon Coolpix s800c with Android converts it into a 3.5 inch touch screen and you can do anything that you can do with any other Android Smartphones or tablet. Gain access to thousands of applications including Video and photographic applications from Google Play, Browse the web and stream music. No one will observe when you tag them in your photos, cheers to Nikon’s Smart Portrait System. It enhances your camera settings, recognizes and attentions on faces, adds refined skin softening and more to ensure everyone looks their greatest. Now share directly from your Coolpix s800c with any other Android Smartphone and iPhone using its Application Connect to S800c available at Google play and iTunes. 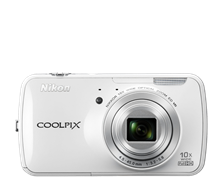 With all these remarkable capabilities Nikon Coolpix S800c is priced at $349.55 at their official Website Click Here to visit.